When you have problem debts and your lender decides to take legal action, what can they actually do? >Now you’ve digested part one, here’s part two of our blog on what legal action your lenders can take. Even if you do end up in court, its’ still not the end of the road, you can defend yourself. If you’re worried about the having to go to court, don’t be – you only have to attend if you are disputing the amounts the lender is asking for or you want to attend to defend yourself in person. Otherwise you can simply fill in the forms you’ll be sent and let the courts decide. 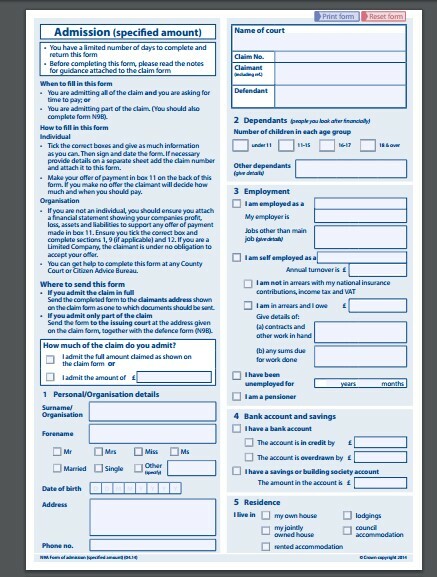 A little word of warning though – you only have 14 days to fill in this form and return it. If you do not do it within this time, a CCJ will automatically be awarded against you – this is called a default judgement. Pay in full – you’ll offer to pay the full amount in one go. If you do this, the court action will be cancelled and there will be no CCJ against you. Ask to pay later or in instalments over a period of time – you’re offering smaller amounts in instalments over a period of time, this allows you to stick to the payments plan. This will result in a CCJ being issued against you. Dispute the amount the lender says you owe – if you don’t think you owe the amount the lenders claims you do you can dispute it. If you do believe you owe something, you should send that payment immediately, or ask for more time to pay. Dispute the whole claim – this is for when you don’t think you owe the lender anything at all. You’ll need to say why you think you own nothing and provide proof to back-up your claim too. Make a counter claim – this is for the times when you think the lender actually owes you something. This would be used in situations like when you’ve employed an electrician to re-wire your house and you think they’ve not honoured their part of the contract in some way, and you’re refusing to pay because of it. The counter claim that you’re making would be for the breach of contract. Once in court, you will be able to defend yourself by demonstrating what you’ve got coming in and going out of your household, which will show the court how much disposable income you have left at the end of the month. This is the amount that’s left after all your essential and priority bills have been paid. If you’ve already made an offer of payment, and it’s been rejected by your lender, again showing the court that you’re trying to pay off as much as you can will always work in your favour. The court wants to resolve the issue to the satisfaction of everyone involved and won’t want to try to make you pay something you cannot afford. If a CCJ is awarded against you and you are not able to pay it, because there’s been a change in your circumstances for instance, there are still things you can do. And it’s important that you do something, don’t just stop paying the CCJ and hope for the best. If you do, your lender may start further enforcement procedures against you again, which usually involves an Attachment or Earnings Order (AOE) or, possibly even a bailiff being sent to your property. An AOE is when you have money for the debts taken out of your wages before they are forwarded on to you. If you’d like to find out more about an attachment of earnings read out blog – What is an attachment of earnings? Both these scenarios are easily avoided by simply keeping in touch with your lender and trying to sort out a payment of some kind. Some payment, no matter how small, is always better than no payment – it shows willing. So, if you find that you cannot pay the amount decided on the CCJ within 16 days of the court case happening, you can ask that the court do what’s called a ‘redetermination;, which simply means they’ll look at your case again, without it incurring any fee. You’ll need to include a letter that, once again, details why you can now only make the reduced payments you are offering. So, outgoings and incomings will all need putting into a budget that clearly shows what you have left at the end of the week or month, once all your essentials and priorities have been paid. 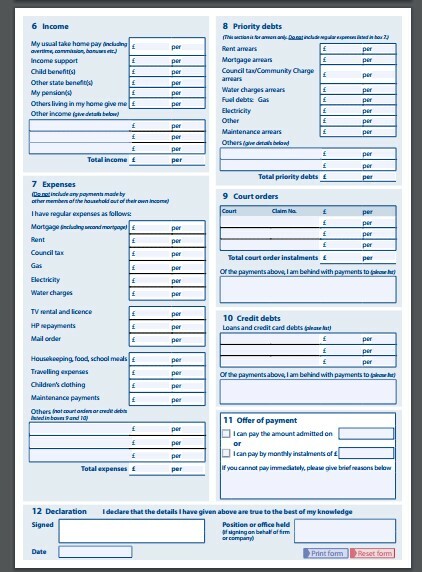 Make sure you include all the details of your incomings and outgoings again so that the court can see that the amount you are now offering to pay is the most you can afford after all your essential and priority bills have been paid. 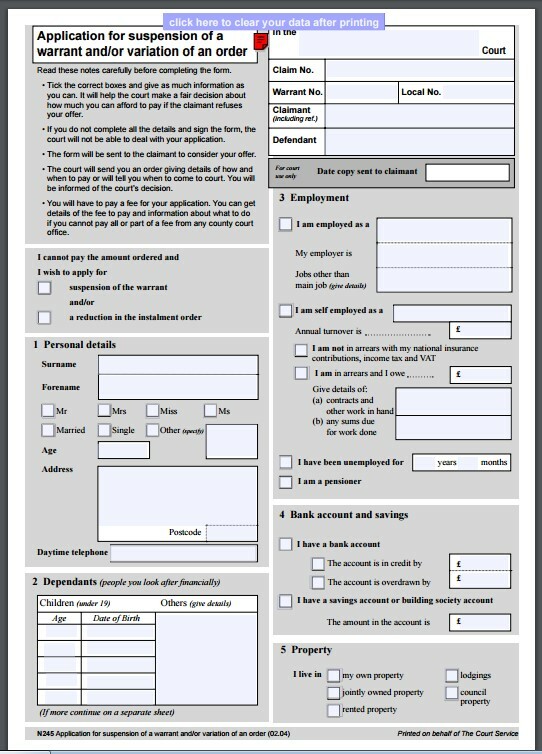 There is a fee for submitting this form, but if you claim certain benefits you may be exempt from paying it. Find out here if the exemption applies to you. 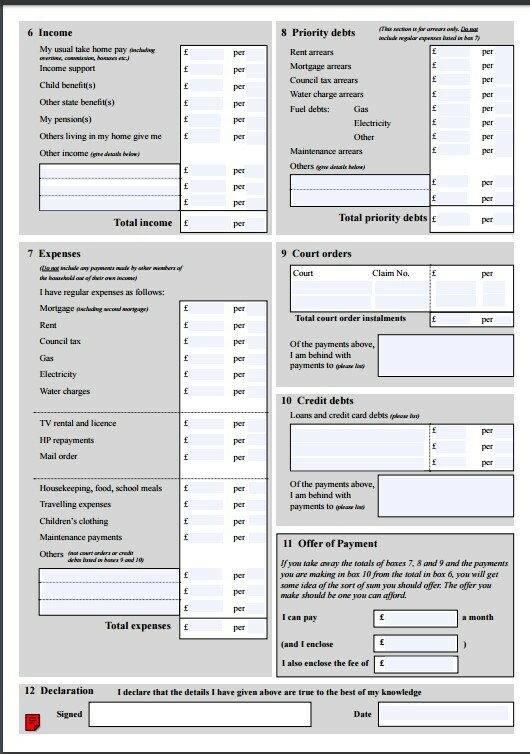 If the court agrees with your new proposal for a reduced payment amount you will receive a form called ‘Judgement for Claimant’. Just a quick note on statute barred debts – these are debts that still exist, but can no longer be pursued through the courts. Unsecured debts in England and Wales may become statute barred when you’ve not acknowledged or made any payments towards them for at least six years. Once the time frame of six years passes, the lender is not able to make enforce the debt through the courts. If you are not sure whether a debt has become statute barred or not, it’s best to speak to us about what they are and how you can deal with them. It’s also important that we point out that while debt solutions are a great way to ease the stress of problem debt, there are also some downsides to consider. If you enter into a debt solution it will be noted on your credit history – usually for six years. And your credit history is what lenders look at when they are making a decision on whether to lend to you or not. If you have a less-than-perfect credit history, it will make further borrowing either harder to do, or more expensive, or both. However, if you’re at the point of needing a debt solution, it’s likely that you will already have a number of defaults on your credit file anyway. So you should not let this put you off entering into a debt solution. If you’re thinking about a debt solution as a way to deal with your problem debts, why not give us a call. One of our trained advisors can chat through the details of your current situation and advise on the best way forward. Just choose one of the ‘contact us’ options from the left of the screen.